PROJECT SUMMARY: Curb appeal is everything! 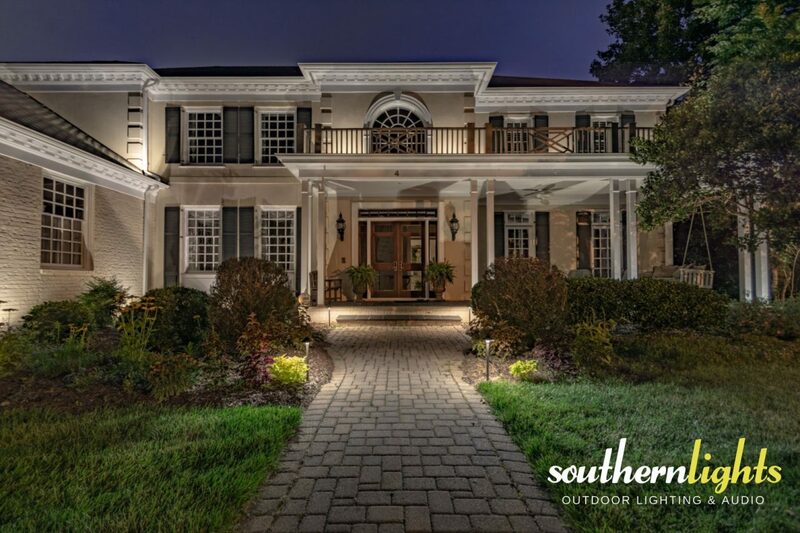 Southern Lights choose to softly graze this cream colored brick home and highlight this home’s architecture with beautiful outdoor lighting along with a few path lights at the front steps for safety. LANDSCAPE LIGHTING FIXTURES: 100% made in USA Clarolux Landscape Lighting Fixtures. Clarolux BL21 “Tivoli” Compact Directional, Clarolux AL1 “Barletta” Area & Path Light Brass.